Save up to 47%, why not try? Enhance lighter coloured eyes with FreshLook Dimensions zero prescription coloured contact lenses, made for cosmetic use only. 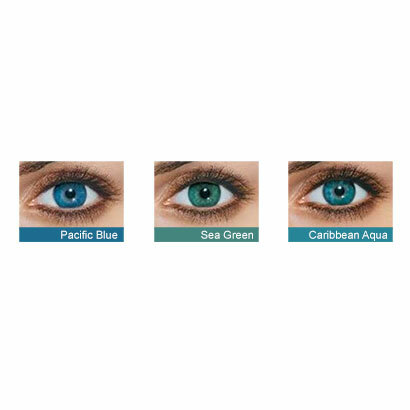 Available in 3 dynamic colours, you can choose from Caribbean Aqua, Pacific Blue or Sea Green. Created by expert manufacturers Alcon & Ciba Vision, they use an exclusive charcoal outer starburst pattern to provide a striking glow around your iris. 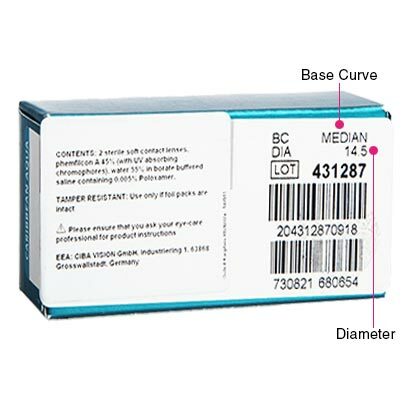 So, with FreshLook Dimensions plano you’ll be complemented for natural, bigger and brighter eyes. Enjoy adding some depth and definition to your natural eye colour, alongside a 55% water content for a smooth and hydrated lens that lasts an entire month. 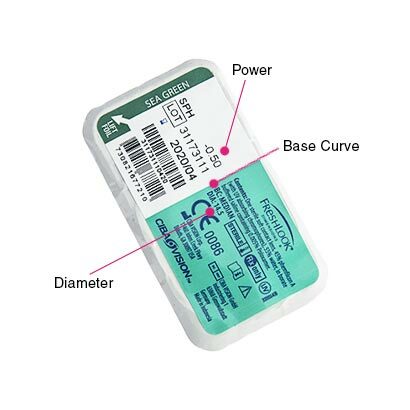 These monthly contact lenses will need to be removed before bed and stored in contact lens solution overnight. 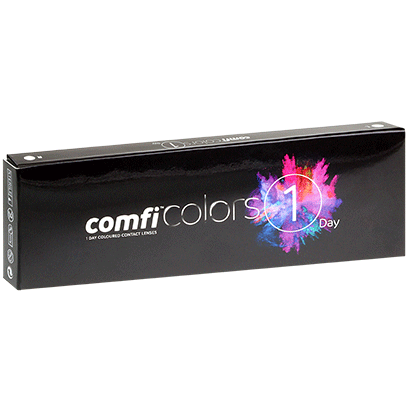 At Feel Good Contacts, we recommend our best-selling comfi All-in-One Solution, to maintain a high quality of comfort and hygiene in your contact lens. 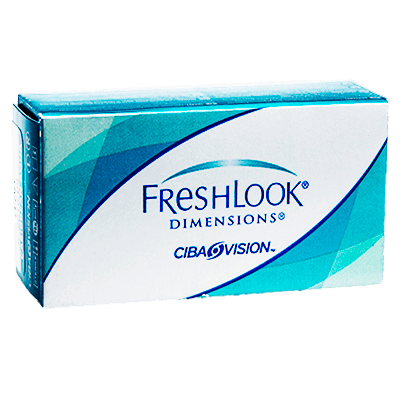 We also stock Freshlook Dimensions 6-pack in a variety of powers, giving you the freedom to select a new colour for your eyes and correct your vision at the same time. If you're after coloured contact lenses that are suited to dark eyes, you might try FreshLook One Day or Air Optix Colors.